I’m sure that telling many children they were going to spend the day in the forest away from the television / computer/ Wifi would go down like a lead balloon, however after a visit to Whinlatter I’m sure they will come away feeling differently. There is something for every one of all ages here from the popular Gruffalo Trail to Go Ape offering thrills for the more daring visitors. Set high up in beautiful scenery it really is like you have left the world behind for a few hours. 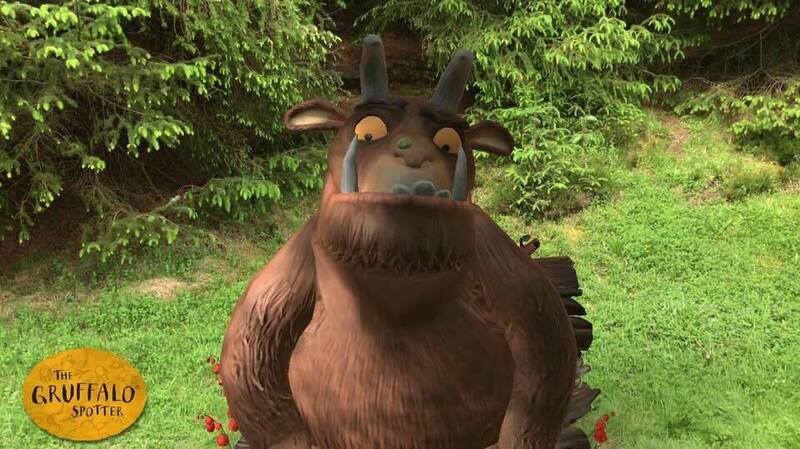 The Gruffalo trail is extremely popular with families and has an added edge if you download free Gruffalo Spotter App before you go. 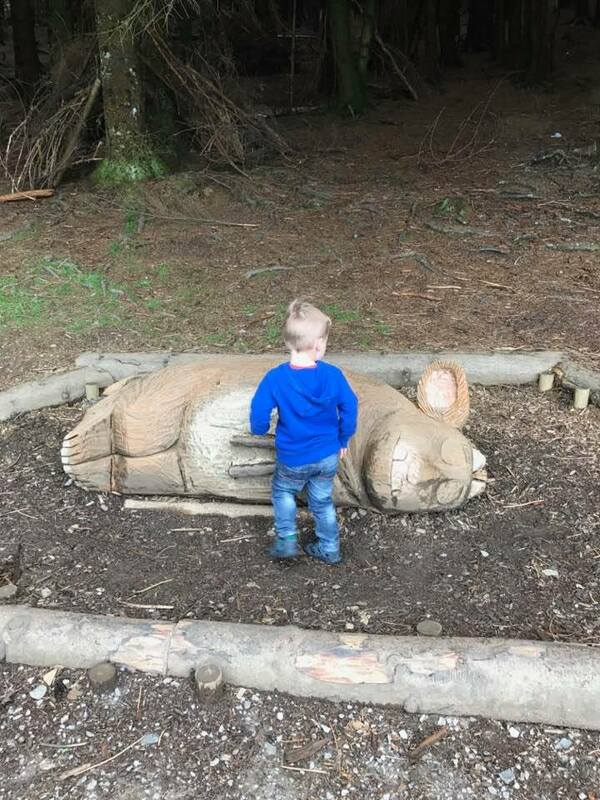 The App allows you to bring the characters from Julia Donaldson’s popular story to life using the special trail points on your way to discover the Gruffalo and it really added something extra to our experience – our toddler LOVED it. The app also allows you to take pictures with the characters which fascinated him! The route is a nice gentle walk suitable for pushchairs and is firm enough under foot to not be too muddy even in inclement weather. In addition to the app a spotter’s pack can be purchased for £3 from the visitor’s centre which contains a whole host of activities to complete en route and you can collect a certificate and sticker on completion of the trail from the centre which made a great keepsake from our day and is proudly displayed in the little ones bedroom. The trail can of course be completed without the app or pack and is clearly marked and signposted from behind the visitor centre. For the more adventurous the Wildplay trail is fantastic. 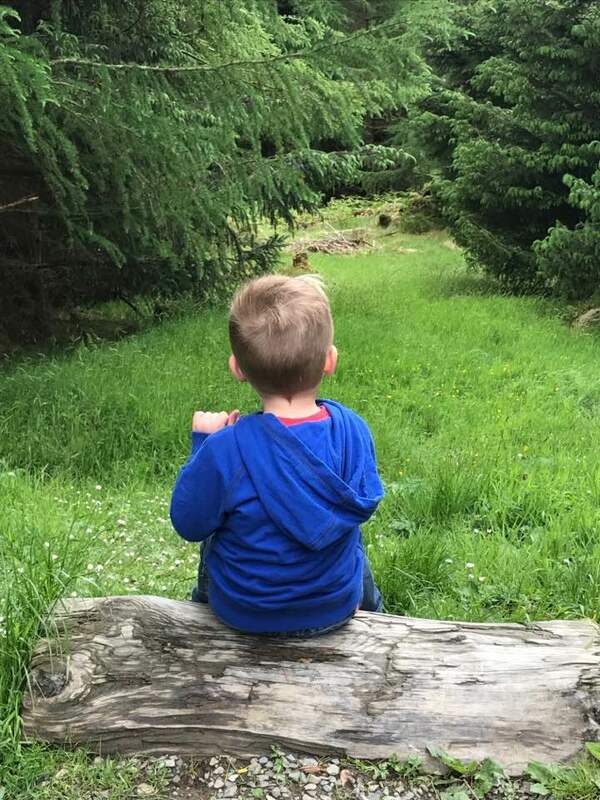 It consists of 9 different play areas set within the forest which give the opportunity, to splash, climb, lift and swing- also keep your eyes peeled for the fairy kingdom on your way. Great for burning off the excess energy whilst having fun and discovering new skills. 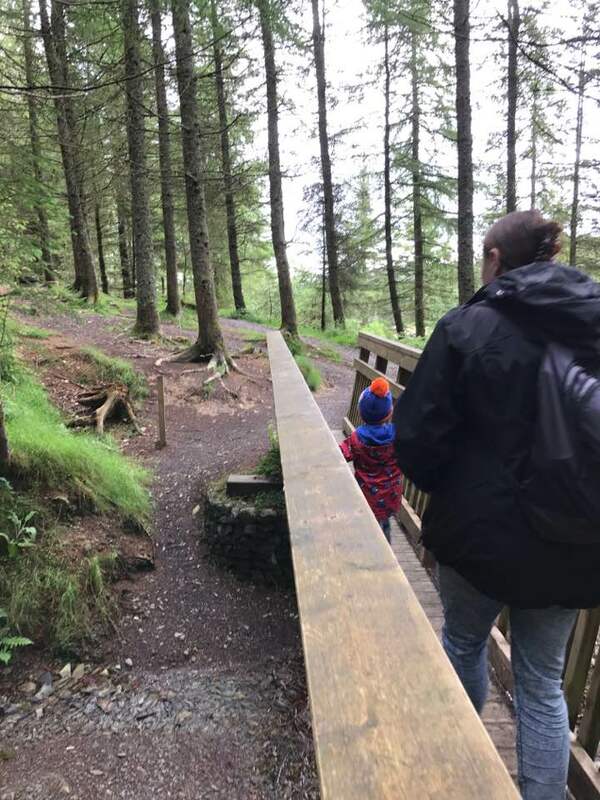 Whilst visiting we only experienced a very small part of what Whinlatter has on offer and we are keen to have the opportunity to return to explore some more as we loved every second! Please note: There is a payable car park monitored by cameras so ensure you pay at the end of your visit – prices were very reasonable in my opinion especially at such a tourist hotspot where often prices are hiked up! Previous Post 8 things that are NEVER the same after kids!! !